The Annual Rostered / Authorized Leader Report for 2017-2018 is available online and should take no longer than 15-20 minutes to complete. Please file your report by April 15. Now that we have a website built from a database and with responsive design (i.e. mobile-friendly), we are opting out of using Guidebook this year and will use our website for all resources needed for Assembly. The Book of Reports has been posted online. If you ordered and paid for a hard copy, those were mailed out last week. If you plan to print for yourself, we strongly recommend waiting to print until the week of Assembly, as we are usually making updates up to that point. Click here for the form to Submit a Resolution to the Assembly. This is due by April 13. Online Registration ends April 16. The next ELCA Churchwide Assembly will be August 5-10, 2019, in Milwaukee, WI. The NT-NL Synod is paired with the Arkansas Oklahoma (AOK) Synod in continuing resolution 19.02.C05. for the purpose of nominating two persons to the ELCA Church Council to be elected by the 2019 Churchwide Assembly. The nominating committee has assigned the category of Minister of Word and Sacrament to our synod for nomination. We are looking for people who would bring a commitment to the work of this church in all of its expressions. It is important that those nominated can work with the other members of the Church Council in assuming the governance role that has been assigned to the council. This means that our 2018 Synod Assembly will select two persons who fit this category. These persons will then be nominated to the Churchwide Assembly, which will elect one to a six-year term on the Church Council, beginning upon the conclusion of the 2019 Assembly. The process that our synod uses to identify and nominate these people is not described in the constitution. What is required is that the Synod Assembly nominates them. That means there will need to be a vote of the assembly to place these two people in nomination. Once these names are presented to the assembly in Milwaukee, there is not provision for nominations from the floor for this position. The two people we nominate from our 2018 Synod Assembly will be the only two on the ballot for the 2019 Churchwide Assembly. The Always Being Made New: The Campaign for the ELCA is now in its fifth and final year. The emphasis for this year is on growing gifts for the Fund for Leaders in Mission. This fund provides 50 full-time scholarships each year for seminarians in the ELCA. Additionally, the NT-NL has its own Fund for Leaders, which allows us to give scholarships locally as well. NT-NL has benefited from these gifts in many and various ways. Throughout the Easter Season, testimonials about the Fund for Leaders will be included in our weekly communications. Bishop Gronberg and the NT-NL Synod Council invite congregations to support the NT-NL Fund for Leaders by considering a special offering this Easter season. Giving thanks for the hope of the resurrection, we encourage congregations to support those discerning a call to ministry and help us keep student debt to a minimum. A matching challenge grant has been given to match dollar-for-dollar the first $10,000 given to this Easter Appeal. Thank you for considering support for the ELCA Campaign and Fund for Leaders. (Gifts may be brought with you to Synod Assembly or directed to the Synod office; please specify Fund for Leaders). Together, we can invest in leaders for Christ’s church on a scale and scope we never could otherwise. Your gifts to the Fund for Leaders program empowers those whom God calls into ministry to go and serve as the church needs and the Holy Spirit leads. Seeking a place to rest and retreat after the busyness of Lent, Holy Week, and Easter? Briarwood Retreat Center offers FREE space for NT-NL leaders to take sabbatical days (from one to seven). You may request this time at any point throughout the year. If there is availability, it’s yours! Contact sharon@briarwoodretreat.org for more details. Portico Benefit Services offers the set of annually updated Richard R. Hammar tax guides at no cost to pastors and congregations participating in the ELCA benefit program. “Federal Reporting Requirements for Churches” helps congregations understand federal reporting requirements. The 2018 version includes Hammar’s extensive analysis of the impact of the Tax Cuts and Jobs Act of 2017 on congregations and staff. “Clergy Tax Return Preparation Guide” gives special attention to tax-related topics relevant to ministers. Find links to these guides on both EmployerLink and myPortico. “There’s an ‘Age-Wave’ before churches with people over age 50 making up a third of the U.S. population and some churches even higher. 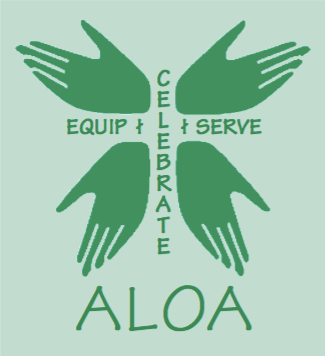 With this most-skilled, committed, and healthy generation, it is more important than ever that churches and congregations band together to mobilize middle and older age laity for effective ministry,” said Dr. Robert Hughes, project director and past-president of ALOA. The 25-year old organization is a Recognized Service Organization of the LCMS and an affiliated Social Ministry Organization of the ELCA. The grant is part of the foundation’s Lutheran Grant Program. This program is designed to assist Lutheran organizations and those they serve in achieving economic security and sustainability. Engage: We have a great line-up of faculty! Wonder and Wander: Meeker Park is one of the most beautiful places on the planet! Breathe: There is breathing space for a sabbatical-like experience. Connect: Fellowship under the chili-lights is a great time for collegial connections. The dates for this summer’s academy are June 12-22, 2018. A little earlier than in the past so that folks can attend both the academy and the ELCA Youth Gathering. Register online or download a PDF. Prices increase April 16, 2018. Contact sgiere@wartburgseminary.edu with any questions. Do you feel isolated and wish your church could connect to a larger, growing progressive movement? Do you want to connect with leaders who make YOU better at leading? Would connecting with others who are part of more forward-leaning churches sharpen your skills for leadership and engagement in your current setting? If you answered “yes” to any of these questions, the Convergence Leadership Project is the ideal way to for you to create movement and progress within your congregation. For the past year, they have prototyped this process – and now know it works. 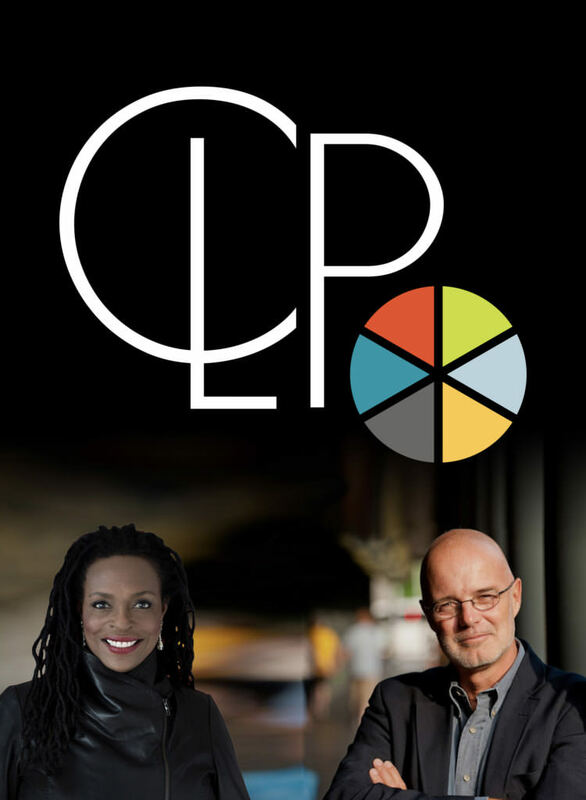 Directed by Brian McLaren, Jacqui Lewis and others, this intensive process strengthens both a congregation and the pastor’s own personal leadership. The Convergence Leadership Project (CLP) provides short-term (usually 8-week) intensive learning experiences to equip and inspire you to be a long-term participant in a vital spiritual movement taking shape around the world. Your completion of four 8-week intensives will result in Certification in Convergence Leadership. become a vibrant spiritual activist, rooted in a coherent theological framework and empowered by a vital spiritual life. make your unique contribution to a growing, multi-denominational movement of just, joyful, generous, and regenerative Christianity that is growing stronger every day. help your congregation link up with other congregations across denominations so you can learn together, dream together, get organized, and make a difference together. become a vital partner in the larger multi-faith movement for peace, justice, ecological responsibility, and inclusion for all. Our challenge is great, and the load seems overwhelming at times. Consider becoming a part of their next intensive. The application window for the April 16 cohort is open until Monday, April 9. Get your application in now! The 2018 Mission Support Form is available on our website as a printable document and as an online form. Please submit after your congregational meeting. Please use the Congregational Remittance Form on our website and submit directly to the Synod office. You may also access a printable form here. We transitioned on February 1 from MIF processing back to internal processing to continue to be good stewards of our resources. For a complete list of upcoming events in, and important to, our Synod, you can access our Calendar of Events online. Click here for past editions of Leader News.